A revised Samsung Galaxy Tab A (2017) tablet is headed to multiple carriers in the U.S. The next major tablet coming from Samsung, the Galaxy Tab S4 is expected to be officially introduced at the end of the next month, just before IFA 2018 trade fair kicks off. However, the South Korean company may have another ace up its sleeve, as details about a completely different tablet have just surfaced online. 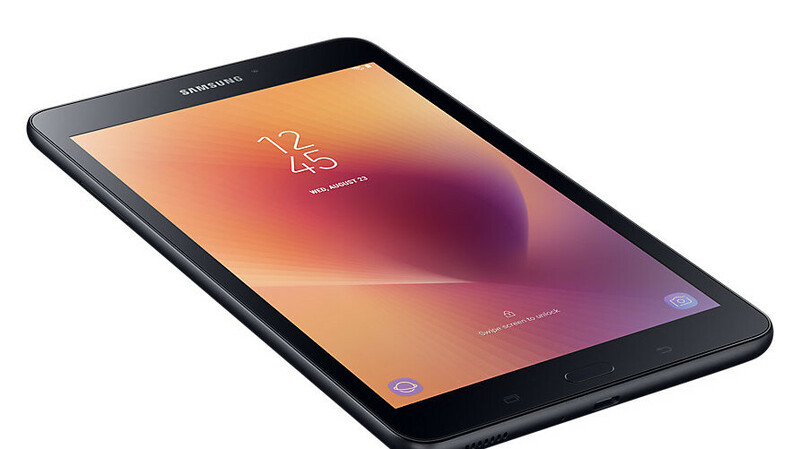 A revised version or a sequel to the affordable Samsung Galaxy Tab A (2017) was recently certified at Wi-Fi Alliance, which somewhat confirms its imminent launch. No specifics about the tablet's specs are available yet, but we do know it will be offered in the United States by various carriers. The slate goes by the model number Samsung SM-T387, but each carrier-bound variant has a different letter at the end. For example, the Verizon version has the SM-T387V model number, while Sprint, T-Mobile, and U.S. Cellular's variations will be known as SM-T387P, SM-T387T, and SM-T387R4. As far as AT&T's version goes, Wi-Fi Alliance also certified a Samsung tablet with model number SM-T387AA, which is likely to be offered by the carrier. Unfortunately, it's hard to tell whether this is a slightly upgraded version of the last year Samsung Galaxy Tab A (shown in the picture above), or a full-fledged sequel with new and improved hardware, not just newer software. They should give it Pen support, at least an SD 660, make it all screen like its bigger brother and price it competitively. That would allow them to compete with the iPad 9.7. Highly doubt any of that is going to happen though :(.